mapping 5hmC at base resolution and quantifying the relative abundance of 5hmC as well as 5mC. They applied this method to embryonic stem cells and confirmed widespread distribution of 5hmC in the mammalian genome and found sequence bias and strand asymmetry at 5hmC sites. 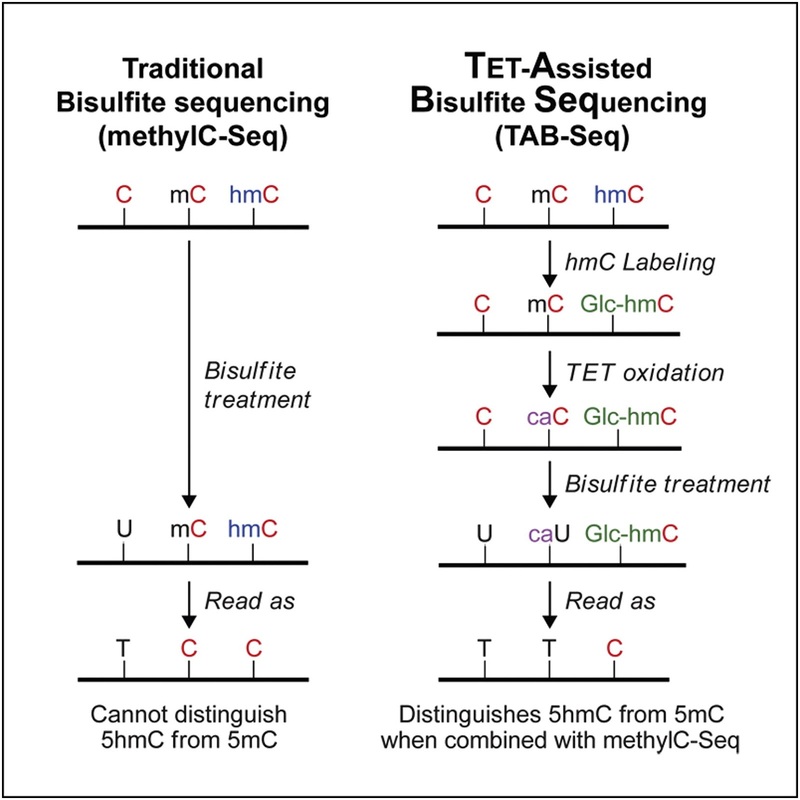 High levels of 5hmC and reciprocally low levels of 5mC near but not on transcription factor-binding sites were observed. 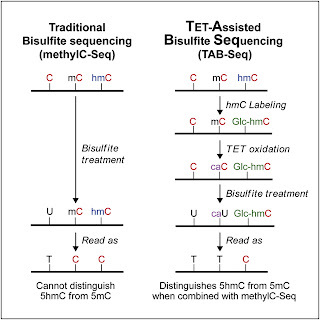 The relative abundance of 5hmC varied significantly among distinct functional sequence elements, suggesting different mechanisms for 5hmC deposition and maintenance. This method is expected to transform the epigenetic studies totally.